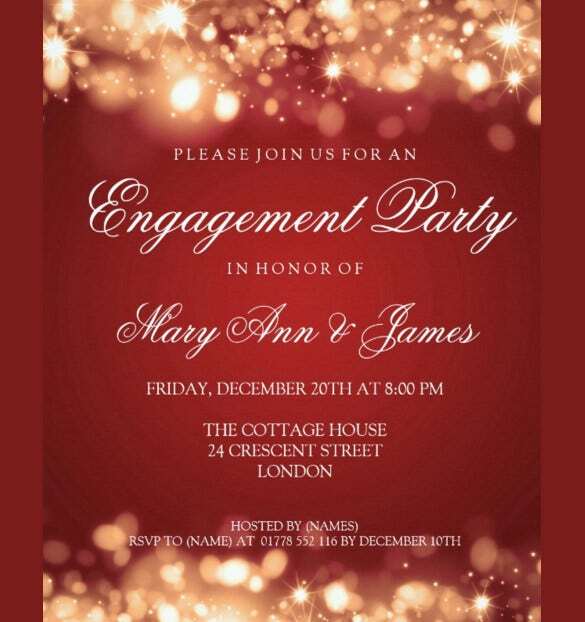 Are you planning a post marriage party? Such parties are becoming very popular these days among new couples who want to showcase their love. 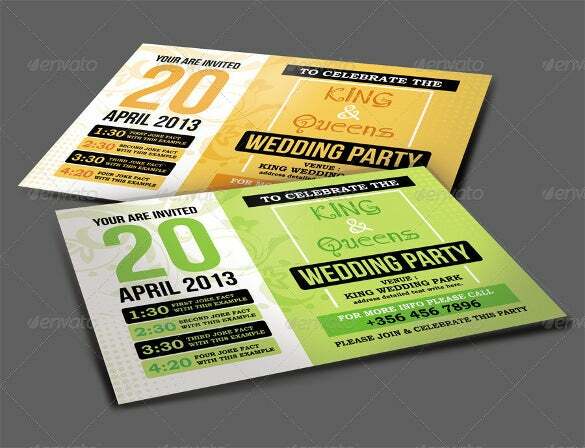 There are various types of fall wedding invitation available to suit your themed wedding ceremonial celebration. 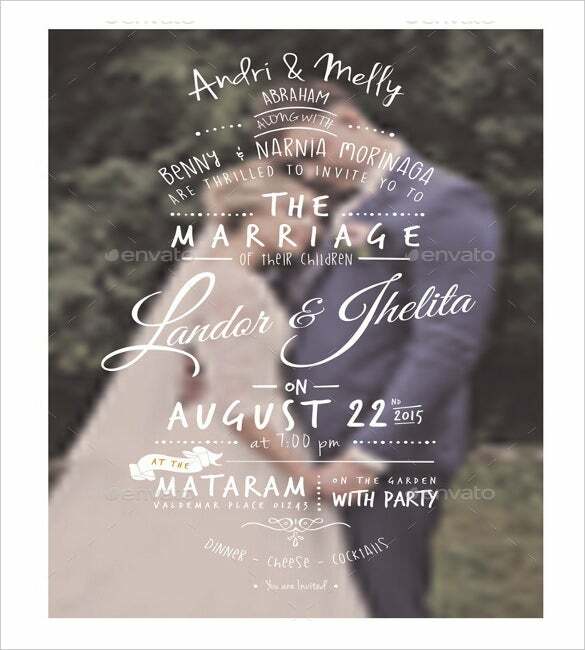 Personalize it by adding your details and customize it as per your different set of guests. 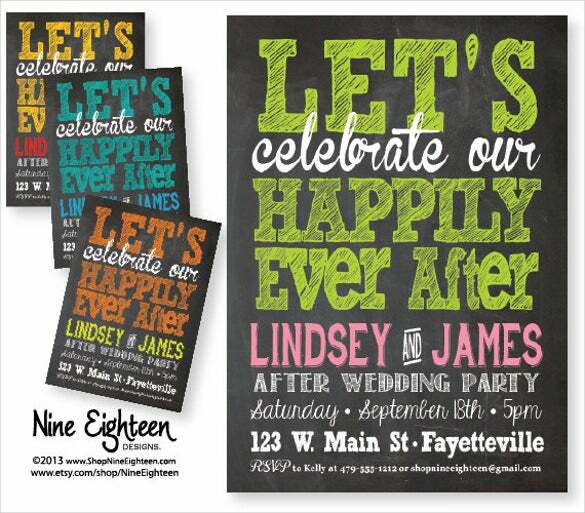 Team it up with great paper and prints to go with the look of your party and make it appear more lavish. 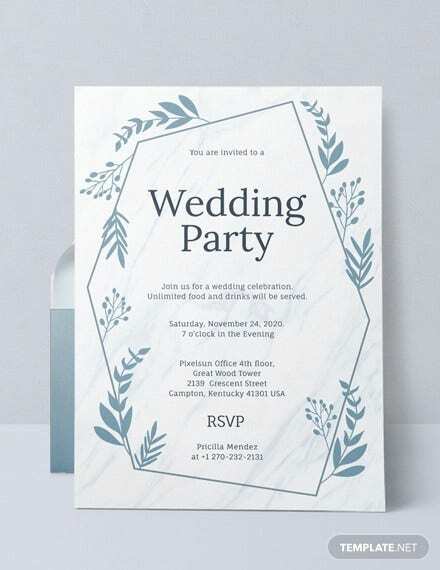 Pick your favorite invites from the wide range of wedding invitation template available in variety of format options like PDF, PSD, MS Word and many more. 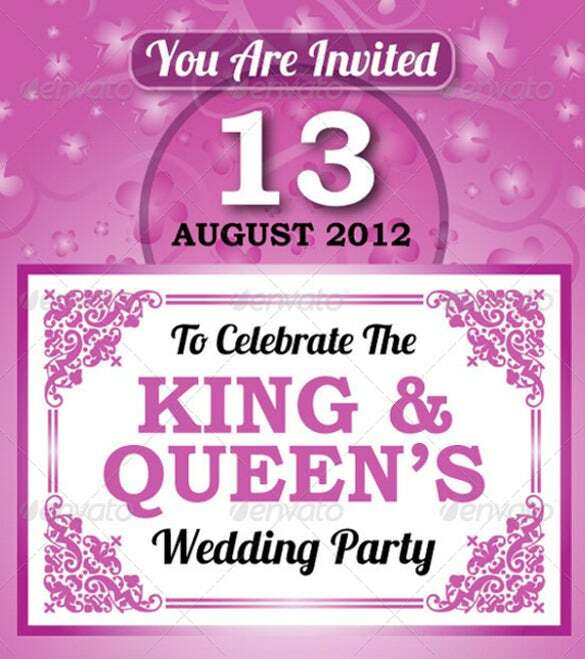 you may also see wedding invitation templates. After wedding parties have a thing of their own. 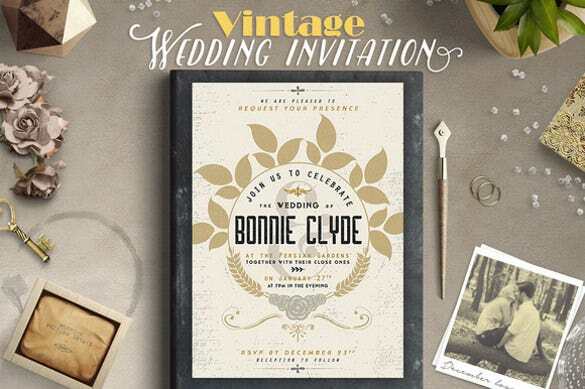 Customize your after-wedding party with this excellent invitation that is both trendy and a little old-school in a cool manner at the same time. 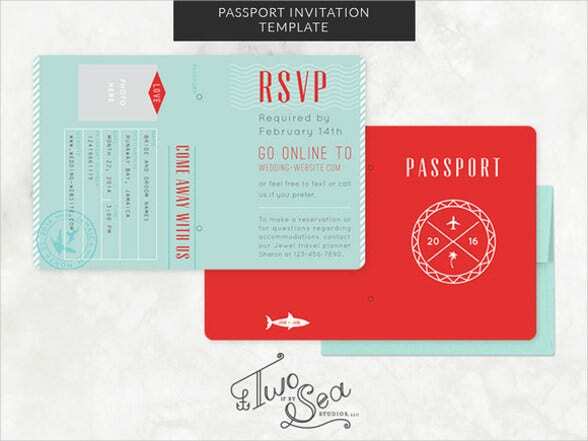 If your wedding is at a faraway place where people are going to arrive by air, this passport wedding party invitation is just the thing you need! 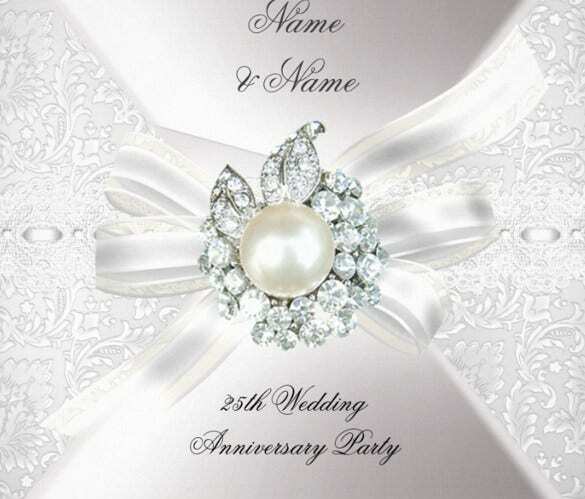 This invitation is stylish and peppy and the hue of the invitation card tops it all! 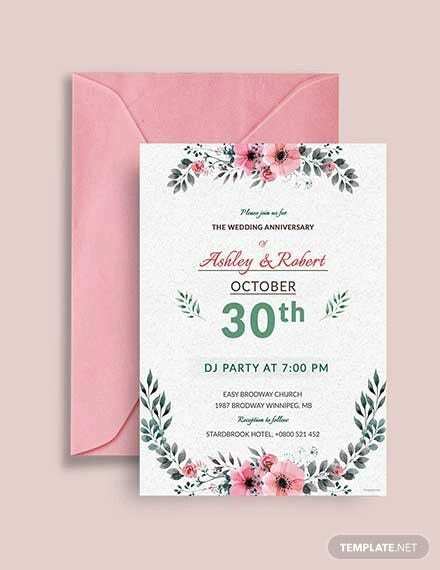 If you want your wedding party invitation to stand out of the crowd, opt for this wedding party invitation and book that has a different pattern than others and looks quite classy. 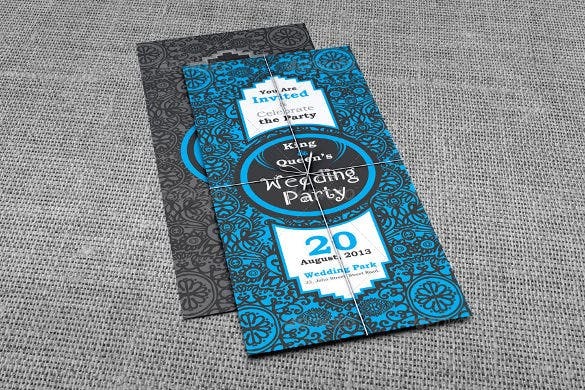 A chic and stylish wedding engagement party essentially requires a chic and stylish invitation card. 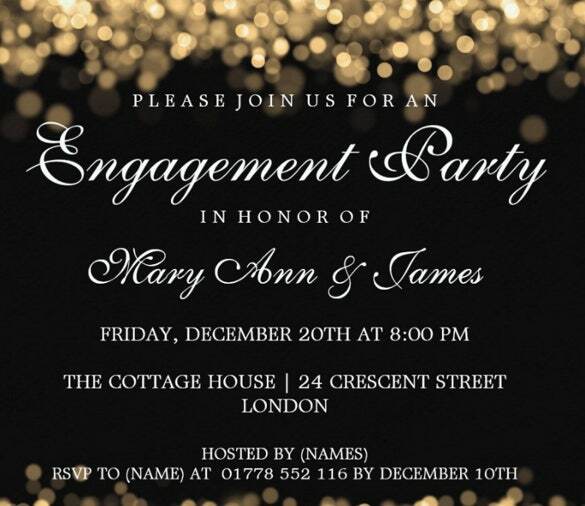 This wedding engagement party invitation in sparkling lights is just perfect for the job! 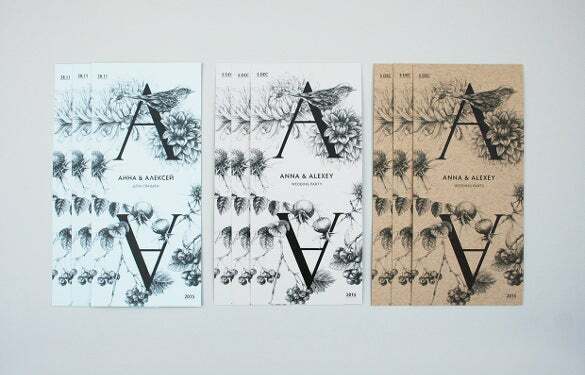 The subtle design of the card makes it look simple and extravagant at the same time. 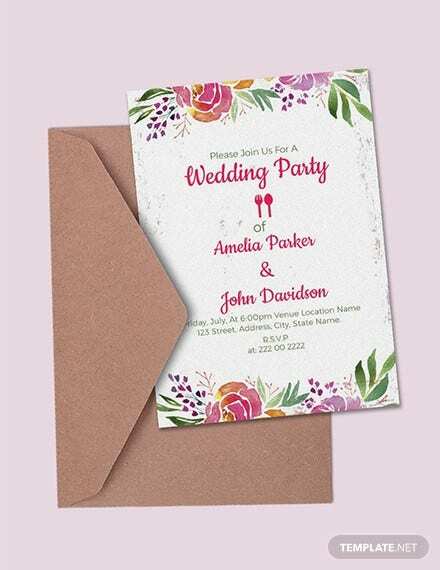 To keep your wedding party invitation card simple and yet stylish, opt for this wedding party invitation that has employed peppy fonts on a blurred background. 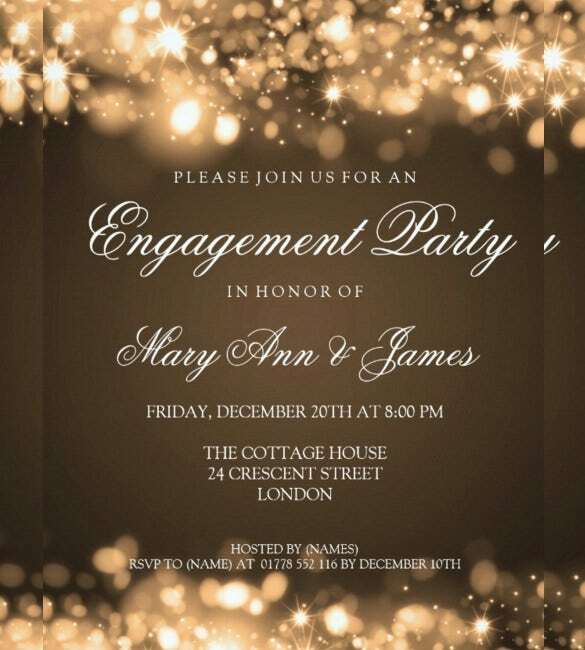 The invitation card is crisp which is the best thing about it. 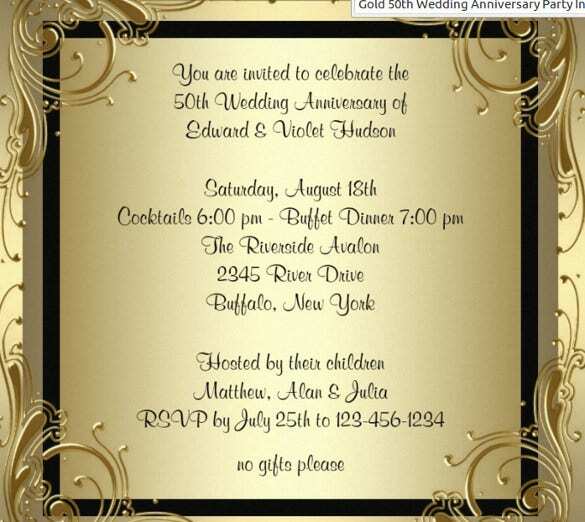 If your wedding party is going to be a little richer and a lot more classy than that of others, here is a wedding party invitation that would just fit the purpose. 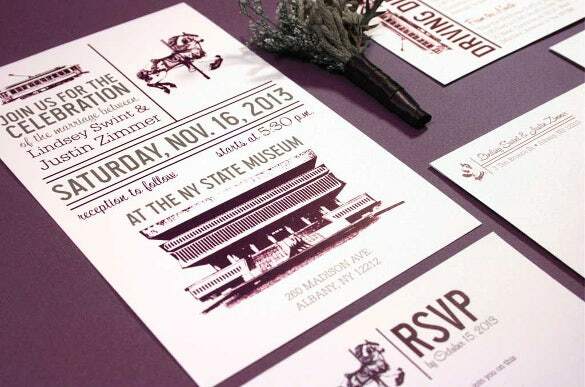 The invitation has a rusty look and is charming in its own different manner. 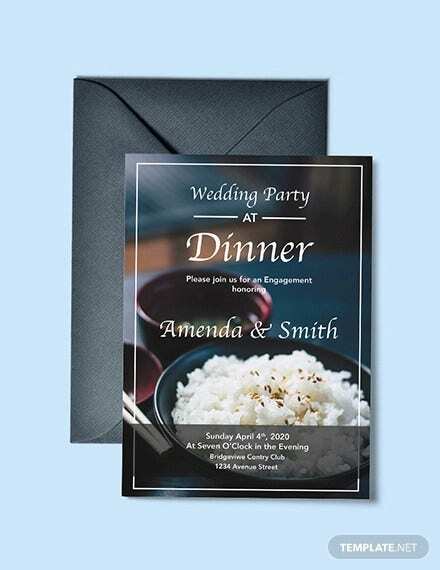 If you want your wedding party invitation to be very elegant and sober but not lose its charm at all, the Zimmer wedding party invitation is just the thing you would want. It has a very sober look and does not miss out on any detail while looking mysteriously beautiful at the same time. 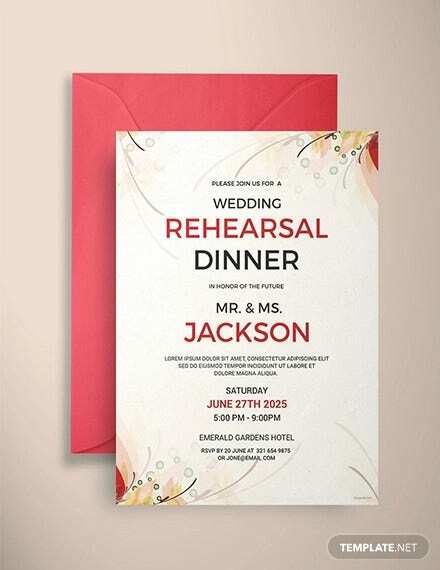 If your wedding party is going to be a very classic affair with all the colours of richness and luxury, here is what your invitation needs to be. 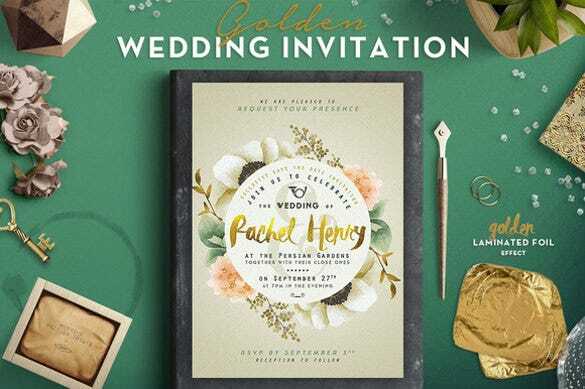 The Golden foil wedding invitation is all about the shining gold hues in a rich green background and is sure to enthral you in many manners. 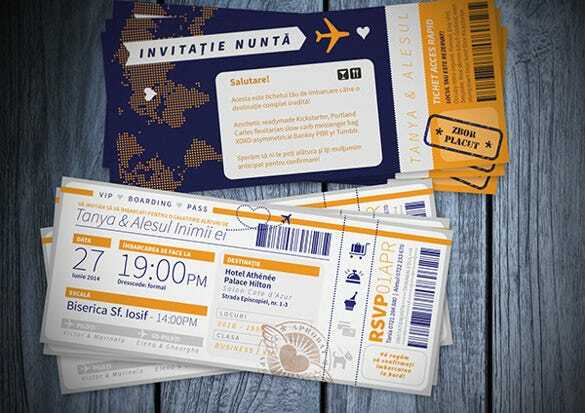 To add some fun to your wedding party invitation, all you would require is the design of a custom flight ticket. Make it peppy and wonderful with your names and the flight ticket format. 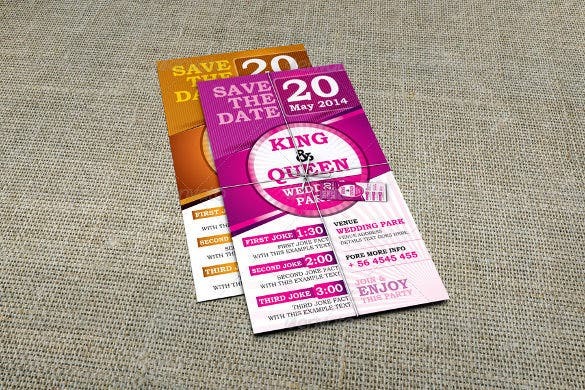 Your guests will sure marvel and awe at the excellent idea!